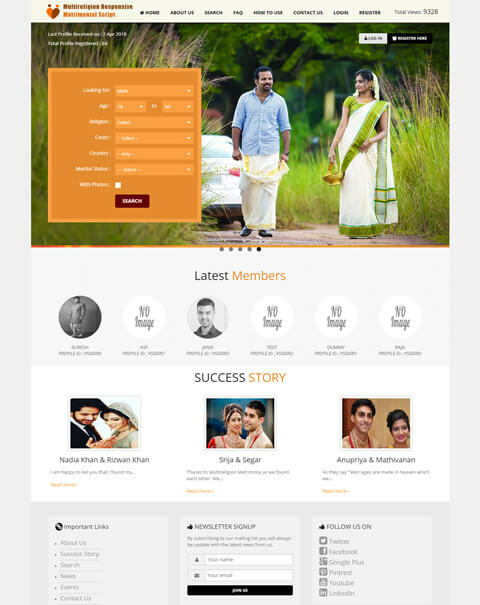 Our new Vivaah PHP Matrimonial Script is developed for the users who are searching for the perfect partner with efficient user-customization, this script can give you the best user preferable site with advanced features and functionality and this site can also be useful for the new entrepreneurs who like to start over the business through online and also it can be useful for the offline brokers to take down their business through online listings. 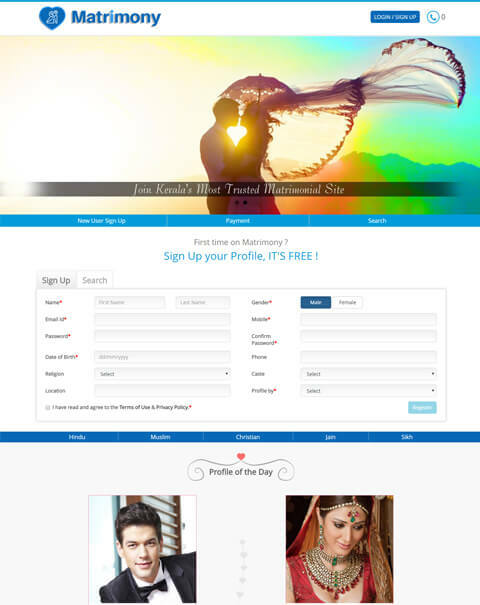 This site can be customized as globalized or localized matrimonial site. So this script will help you to gain revenue method by starting the own business site and help you to find the right bride grooming site. 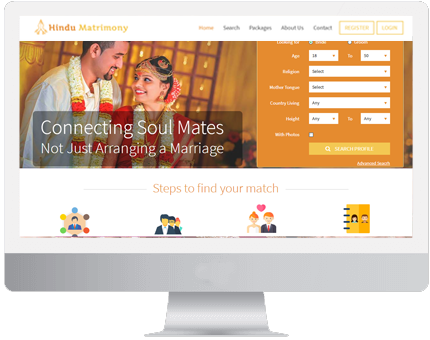 Our Readymade Open Source Hindu Religion Matrimonial Software is designed with advanced search bar filter to reduce the complexity of the searching with user flexibility. Where the user can simply register their account with valid mail id & password and we also provided the Two Factor Authentication log-in for the users to provide user secure account. 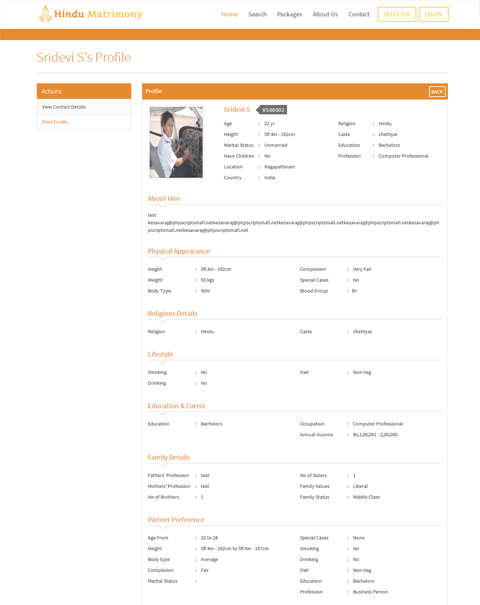 The users can select their membership plan for their individual account to search for the perfect groom. 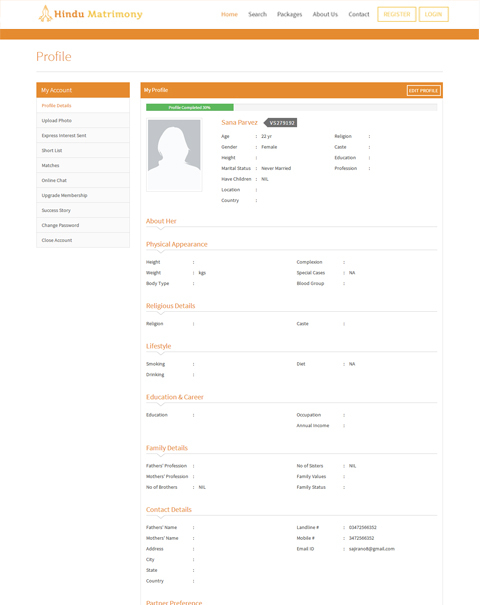 We have introduced different search portals for the users to search for the perfect partner like Quick Search, Advanced Search and Profile ID Search. 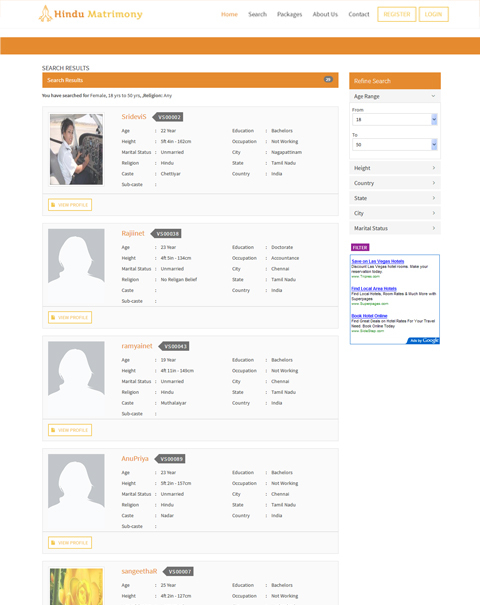 In our Wedding List Script the user can create their own profile with their personal details, photos, and career etc. 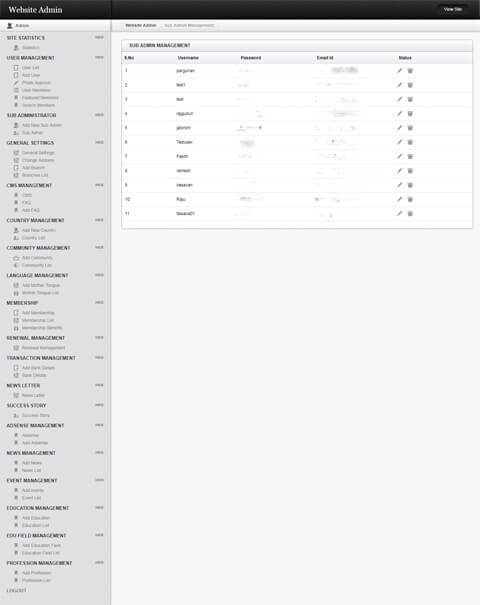 Then, the user can search for their groom by just submitting their user profile id and also can be searched by advanced search by submitting their required details like country, education, status, family values etc. 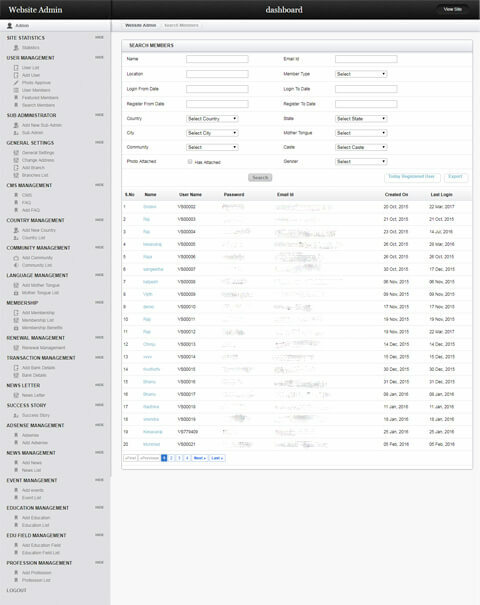 In another method, the user can search for the quick search by submitting the required details in the field and will response you back with the accurate result. 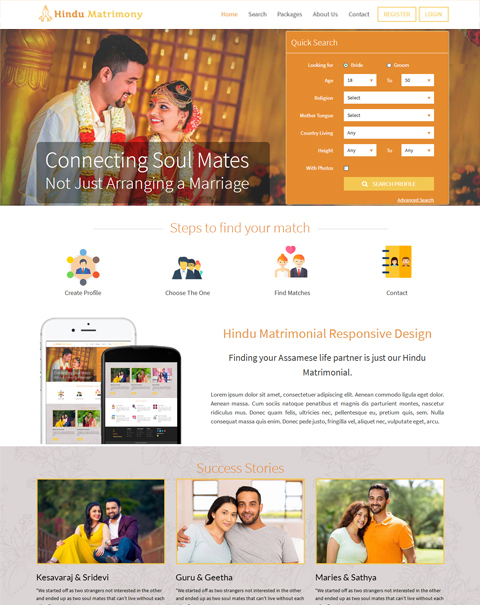 The Hindu Religion Matrimonial Software, the admin can act as a major role by managing the entire site by viewing and managing the user account details, membership payment details, transactions details and success story details etc. 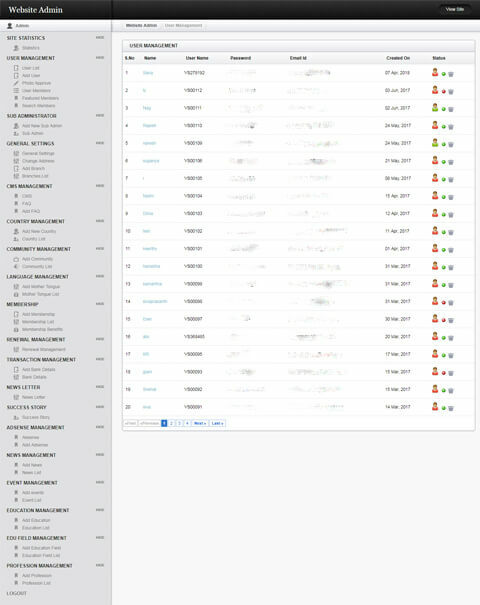 This script is one of the best revenue model scripts for theadmin to gain profit from the membership commission, Google advertisement and banner ads etc, and also the site title, logo, and templates are can be changed by the admin, this script act as the dynamic web page. We are 16 years experienced leading Software Product Company, we focus on latest trends and technologies in creating product web design and development, cloning scripts, and online marketing services for all level business entrepreneurs and our target is to provide maximum return on investments to our clients. The main advantages of our Muslim Matrimonial Script are, we provide 1-year technical support, free updates of the source code for the 6 months. We remove our company name and trademark once you buy our matrimonial script. Find the right match from the advanced search option such as country search, Profession search, saved search of your choice. 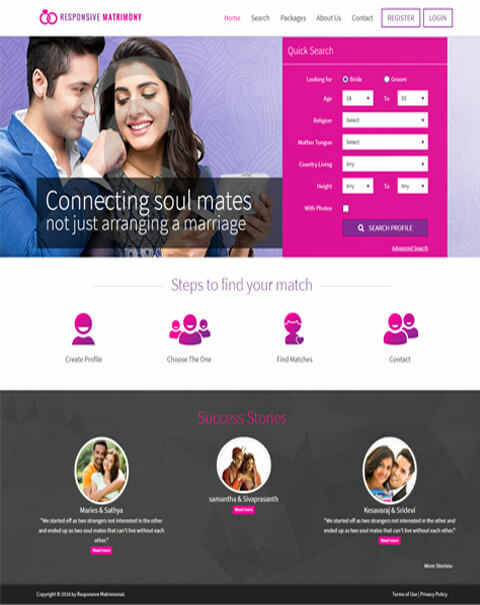 Our matrimonial script is easy and reliable for the users to access the site without any struggle. The User can communicate with confidence. Every profile will be genuine and verified. Due to mobile responsive, our website is suitable for all sized screen mobile phones, laptops, tablets and more on. When will be site live? Once you buy our Nikah Script from us then your website will be live within 24 hours. MySQL 5.0 or higher, Apache module, PHP 5.3 or higher, Linux Server. One time Payment :- Once you send the full payment we will give you the entire script files to you, there after you donâ€™t want to pay any thing. 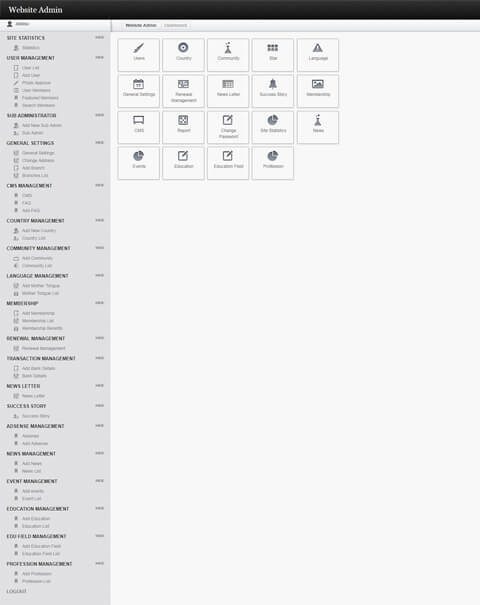 The newly added features enhanced my site efficiently. The offers were very new and I dint find with any other company. The customer support team was very helpful and co-operative with me. I had a great mess but they sort out all my issues. Thank you so much people. This is best script where the matches are found very easily. I have worked with many different companies around the country. Everything was basically the same, delivery time late, lots of bugs in script, very expensive but bad customer service. Doing my research I found PHP Matrimonial Script, they answer all my questions right way and I had a proposal of in minutes. It is a Genuine Company. © Copyright , PHP Matrimonial Script. All rights reserved.